This statistic provides information on the level of global mobile video traffic from 2017 to 2022. 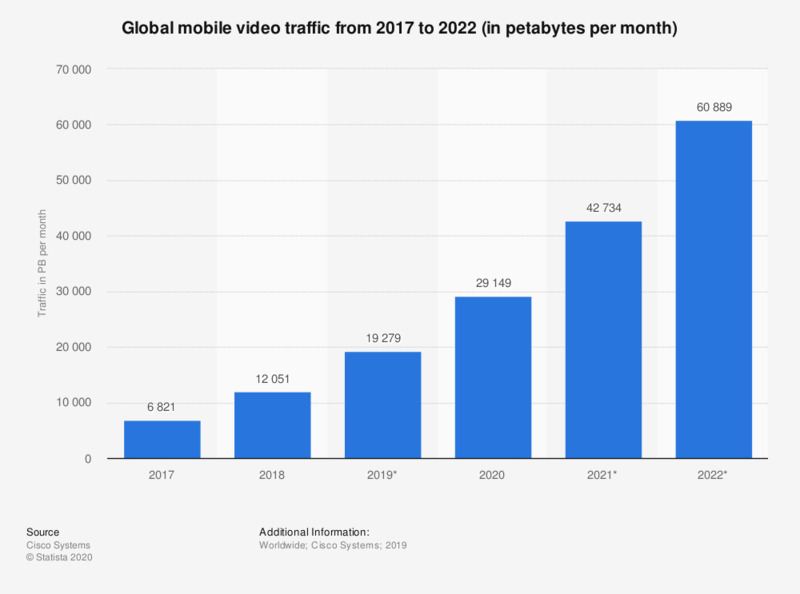 In 2018, global mobile video traffic amounted to 12,051 petabytes per month and is expected to multiply to 60,889 PB per month in 2022. The portable device category includes laptops with mobile data cards, USB modems, and other portable devices with embedded cellular connectivity.